MOSCOW - A manager in charge of investigating hacking attacks at Russia's biggest cybersecurity firm has been arrested, the company said Wednesday. Kaspersky Lab on Wednesday confirmed reports in Russia's respected Kommersant newspaper that Ruslan Stoyanov, head of its computer incidents investigations unit, was arrested in December. Kommersant said that Stoyanov was arrested along with a senior Russian FSB intelligence officer and that they both face charges of treason. Kaspersky's spokeswoman, Maria Shirokova, said in a statement that Stoyanov's arrest "has nothing to do with Kaspersky Lab and its operations." She said the company has no details of the charges Stoyanov faces, but added that the investigation dates back to the time before Stoyanov was hired by Kaspersky. Stoyanov's previous jobs, listed on the LinkedIn website, include a position at the Cyber Crime Unit at the Russian Interior Ministry in the early 2000s. U.S. intelligence agencies have accused Russia of meddling in the U.S. presidential election through hacking, to help Donald Trump win the vote, claims that Russia has rejected. U.S. and EU officials also have accused Russia of hacking other Western institutions and voiced concern that Russia may try to influence this year's elections in Germany, France and the Netherlands. It wasn't immediately clear if the arrests are somehow linked to these allegations. The FSB's press office wasn't immediately available for comment and Kremlin spokesman Dmitry Peskov also declined comment. Andrei Soldatov, who has studied the internet and Russian security services for more than a decade, called the arrest of the Kaspersky manager "unprecedented." 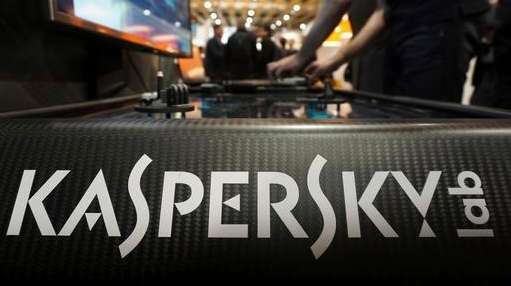 "It destroys a system that has been 20 years in the making, the system of relations between intelligence agencies and companies like Kaspersky," he told The Associated Press. "Intelligence agencies used to ask for Kaspersky's advice, and this is how informal ties were built. This romance is clearly over."